Aloys II, Prince of Liechtenstein, born Aloys Maria Josef Johann Baptista Joachim Philipp Nerius (25/26 May 1796 – 12 November 1858), was the sovereign Prince of Liechtenstein between 1836 and 1858. 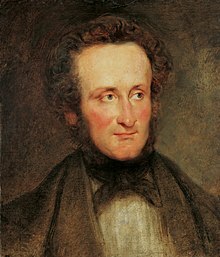 He was a son of Johann I Joseph, Prince of Liechtenstein (1802–1836) and Landgravine Josepha of Fürstenberg-Weitra, nephew of Aloys I and father of Johann II and Franz I. Alois contributed actively to Liechtenstein's economic and political development. Prince Aloys was born in Vienna to Prince Johann I Joseph of Liechtenstein and Landgravine Josepha of Fürstenberg-Weitra. His father was at the time of his birth a Colonel in the Habsburg army, and since became a Field Marshal before becoming the ruling Prince of Liechtenstein in 1805. Aloys at the same time became the heir apparent.